Want to be notified of new releases in geocolon/m-socket? 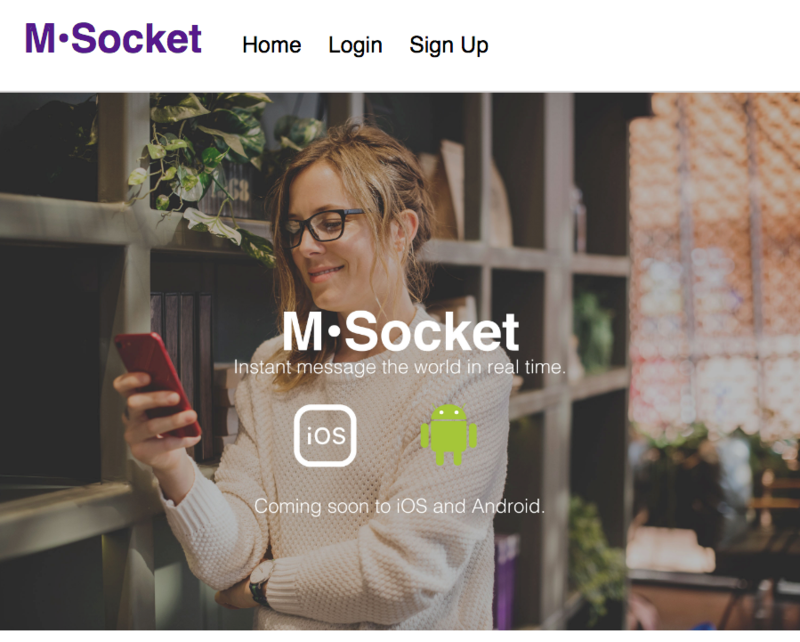 I created this project to understand how to use socket.io, I wanted to create an instant messenger app. Once you have created a account and use the messenger feature, all messages will be deleted once all parties are sign out. Please create your own account at M*Socket for full access to try it out for yourself. Create a new incognito window, then log into the demo account. Doing this will allow you to see the messages being sent by you to the demo account. Once all accounts are logged out or the account window is closed, all chat messages will be deleted. If you are cloning this repo and wanted to locally host both the client and the server, please open terminal window then cd to where you cloned this project. Next cd into the server folder. Then type npm install to install to download the dependencies. Next, create 3 terminal windows and type 3 different commands in each new window. In the 1st window please write mongod, hit return and you should see MongoDB running in your terminal now. 2nd window writes the word mongo then hit return. The same result as before should show up as the mongo database starts up. In your 3rd terminal cd into the client folder, then write npm install to add the dependencies. Once the node_modules is downloaded write cd .., then write npm run dev. The server will be available on loaclhost/8080 and on your defult web browser local/3000 will show up as well. Client folder // jwt-decode, react, react-redux, redux-form, socket.io-client. Server // socket.io, express, jsonwebtoken, bcryptjs, mocha, chai, heroku.